Bus Stop Classics: 1974-76 Mazda Parkway 26 Minibus – Does That Thing Have a Rotary? The Parkway Rotary 22/26 was fairly similar to these other models – it was front engined, was the same size, and seated either 22 or 26 passengers. What made the Parkway unique was its engine – a version of Mazda’s 13B rotary. Other minibuses used mostly four and six cylinder diesel engines, in sizes from 3.0 to 4.0 liters, to maximize torque and fuel efficiency. The Toyota 2B four cylinder diesel being a good example; 3.1 liters pushing out 90 hp and 160 ft lbs of torque. For the Parkway, the two-rotor gas 13B put out 135 hp at 6500 rpm and 132 ft lbs of torque at 4000 rpm. Like most pre-fuel injection rotaries, a big Hitachi four-barrel carburetor (missing in the photo above) fed gas to the rotor cavity. Those who have owned rotaries know they are great engines, but have two big shortfalls; they’re thirsty and they have a dearth of low end torque. One has to wonder why Mazda would offer the 13B rotary in this application, when they already had perfectly acceptable, more fuel efficient gas and diesel engine options. I couldn’t find an official answer but I’ll hazard a guess – by the early to mid-70’s, Mazda had built a strong, enviable reputation as a purveyor of rotary engines – and perhaps they wanted to market themselves as “having a rotary in every model”. The other reason being that maybe they assumed there were some efficiencies in scale with regards to engine production. There were advantages for using a rotary in a bus. Rotaries are very compact, and the intrusion into the interior, and subsequent engine cover “hump” between the driver and passenger, was much smaller than with ordinary engines. They are also much smoother and less noisy (forward of the muffler), resulting in a quieter interior. But those pluses likely couldn’t overshadow the poor gas mileage and lack of torque. Perhaps this was why the rotary engined Parkway was manufactured for only two years – with just forty-four made. 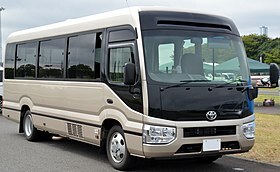 I’m still glad Mazda gave it a go – they created a very unique bus. Four currently survive in Japan with one on display at the Mazda Factory Museum in Hiroshima. Mazda paid dearly in the 1970s for thinking they could put a rotary in just about anything and this otherwise neat bus is a great example. Now who would like a terribly underpowered and incredibly thirsty Roadpacer? 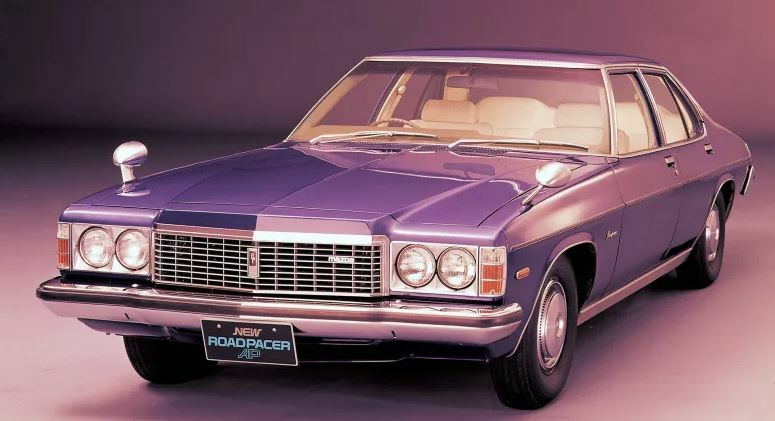 Wow that roadpacer looks like a chevelle! 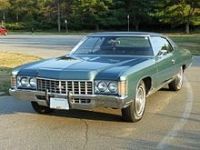 Wow that thing’s face is a dead ringer for a ’72 Caprice! 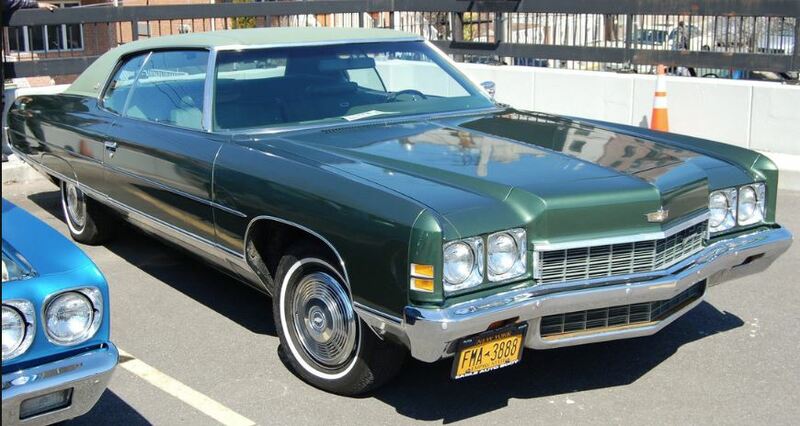 Actually, you pictured a ’71. Here’s a ’72. Jim!! Thank you so much for posting this… I have actually ridden in one of these Parkway minibuses, and seeing the pictures reminded me (great read, too, by the way). I was an 8 y/o kid traveling with family in Sierra Leone, and the Parkway minibus we were riding in (which was probably at full capacity) actually *broke down* at some point of our journey. We waited (and waited) for what seemed like a really long time before our replacement bus arrived. I remember the inside of our Parkway smelled like something approximating apples & oil, but not in an overpowering way. That’s great Joseph – thank you for the comment. I imagine you’re one of a select few that have ever rode in a Parkway. Jim. That’s a very clean and modern looking compact coach. I love Mazda rotaries, and I’ve owned a lot of them. That being said, I can’t think of a worse engine to put in a bus. I thought the same thing when I was researching this – I had a JDM Cosmo with this same engine in the mid-80s, Great engine but it was slow to get that light weight Cosmo off the line. Can’t imagine how high you’d have to rev it to get this bus going. Jim. Well, Mr B, I’d put money on the fact that you’ve here revealed something properly unique to the CC-ers. “Unique” correctly used as a superlative, that is, there literally being no others. (Point of pedantic order here. Something is unique, or it isn’t: “nearly unique” isn’t a thing, now back to your desks you lot). I sure didn’t know about this little bus. Now, perhaps there is some otherworld NSU bus-ette or somesuch that one of our EuroCC- ers will flick us on to at this point and say “Why, it’s well-known that Scoffbarttlefurtsen-Himmelgas of North Gottsavus in Bavaria produced a rotary bus first” but I’ll bet good Australian rubles that none of the examples then given were made 44-fold or could carry 22 passengers. This Mazda can’t be any less useful than the ’74-odd Toyota Coaster 22 seat bus we had at school, powered by a 2-litre pushrod four. That thing spent most of it’s confoundingly long life between 6,000rpm and halting valve float as the harried teacher at the helm sought to a) provide some sort of forward momentum for 22 and their big-chassied bus and b) find the next gear through a column shift wherein a gear – any gear – was a remote tangled-rod lottery with win rates akin to a Vegas casino. It can’t ever have reached 12mpg. This rotary Mazda alternative would not only have reached at least 12.5mpg and maybe even the magic 13, it wouldn’t have produced noise akin to a vacuum cleaner that has sucked up a billiard ball accompanied by the booming vibrations akin to a dryer trying to dry a brick that that miserable piston-propelled Coaster did. However, rare as it is, Jim, I just can’t see the backward-head – sorry, hat – wearing NipponRetro fanatics putting Mugen skirts and some indecipherable graphics and turbos and roll cages on a survivor Mazda Parkway and running 22 of their mates down the quarter mile. The Mitsubishi Rosa is still going too. Yup, the Coaster, Rosa and Nissan Civilian are all still around, though way different from those earlier models. I recall seeing one of those Mazda coaches here out of commission back in the mid-1990s, and one in a music video produced in Trinidad a decade before that, which prompts me to ask: did it come in a ‘regular engine” variant too? It did Dave, either a 2.5 or 2.7 litre diesel 4 cylinder, which were much more popular. Jim. Nuts and gum, together at last. Wow, if someone had been taking bets on whether there had ever been a rotary engine in a bus I would have lost. I pity the poor driver having to keep that engine near full-scream to get any acceleration at all. But how cool that it even existed. Until the bus driver made that perfectly timed sequence of on and off throttle, and it backfired. KABOOM!!! The best part of driving my carpool-mate’s RX2, until he reminded me of the price of mufflers. I knew someone who could do the same party trick in his RX3 – suddenly lift off the throttle after a long blast and it sounded like a 12-gauge shotgun going off under the car. Fortunately for Toyo Kogyo Ford stepped in with big wads of cash and rescued them from this stupidity and they survive today. The rationale for offering the rotary in a bunch of really incongruous ’70s vehicles, including the Roadpacer AP tonyola mentions above, was emissions. Japan implemented its own emissions standards in the mid-70s, modeling them directly on the ones in the U.S. Clean Air Act. Although today we think of the rotary as being dirtier and thirstier than a reciprocating engine, the rotary’s big combustion chamber surface area and lower thermal efficiency reduce NOx formation, which was a real bugbear of early emissions controls. Since Japanese automakers, like Detroit, were still struggling to get their piston engines to pass the tough NOx standards set forth in the Clean Air Act (which in Japan finally went into effect for 1978/53 Showa), the rotary’s better NOx emissions were a plus, and allowed Mazda rotaries to qualify for the tax credits. If you’re wondering, “Just how underpowered was this minibus, anyway?” it’s probably worth noting that the 135 hp (actually 135 PS/133 hp) rating for the ’70s 13B rotary was a JIS gross figure. The net output was something more like 110 hp, just like in U.S. cars of the time.